This gorgeous short necklace is shapely, graceful and elegant. Made of grey resin beads with matt silver castings, it falls effortlessly on your body and is the perfect choice for any occasion. 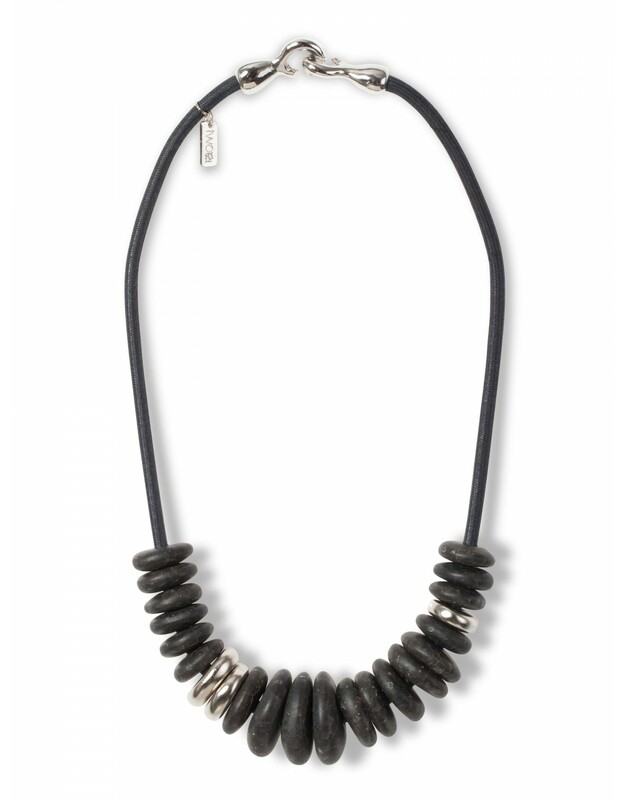 Dark grey resin beads with matt silver castings sits beautifully on your neck with this gorgeous short necklace. This splendid piece is graceful, shapely and incredibly pleasing to both look at and touch. Pair it with nearly any look to complete your outfit with style for any occasion.